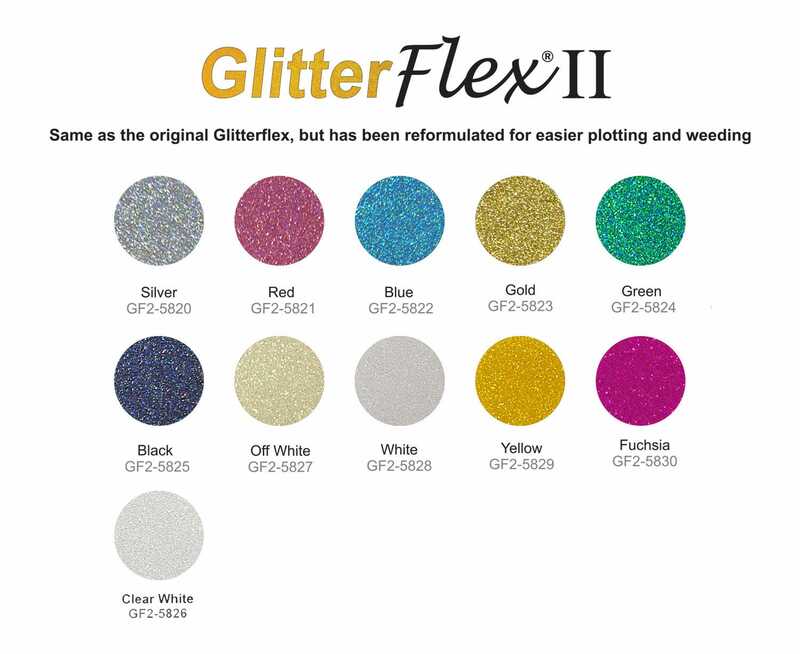 We have reformulated the GlitterFlex material so that it is easier to plot and weed. We’ve also added five new colors, including three different versions of white. GlitterFlex™ II films produce a multi-faceted glitter effect with a flexible and durable polyurethane polymer that encapsulates reflective polyester particles. The polyester glitter particles allow this film to be sublimated. Use GlitterFlex™ II when you want the sparkle in your designs to stretch. As GlitterFlex™ II films are thicker than most of our other films, simply increase the downward pressure of your knife blade in order to ensure clean cuts and easy weeding.